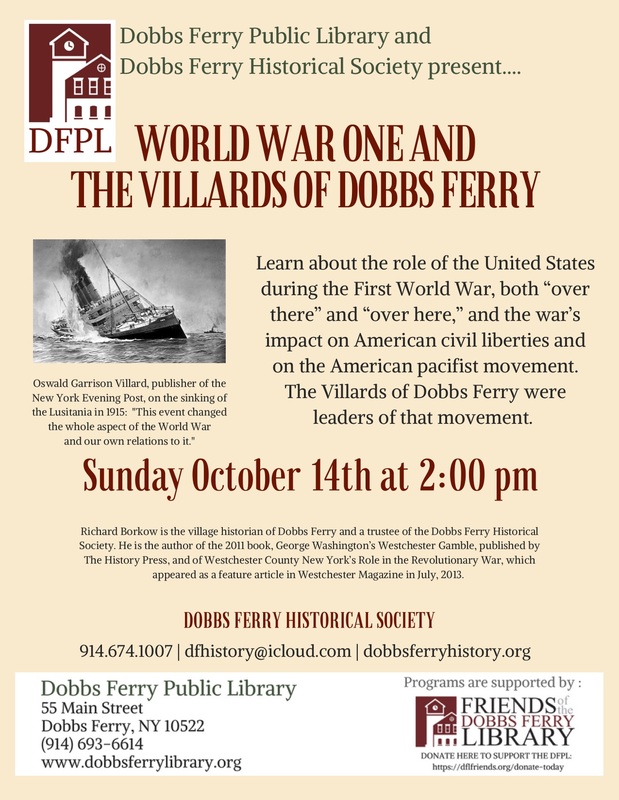 Join us for a lecture by Dr. Richard Borkow entitled World War I and the Villards of Dobbs Ferry. Learn about the role of the United States during the first World War, both ‘”over there” and “over here”, and the war’s impact on American civil liberties and on the American pacifist movement. The Villards of Dobbs Ferry were leaders of that movement. This lecture will be held in conjunction with the Dobbs Ferry Library on October 14th at 2pm at the Dobbs Ferry Public Library. Refreshments will be provided by our local DAR organization.